For a confidence interval (L(X),U(X)) of a parameter θ in one-parameter discrete distributions, the coverage probability is a variable function of θ. The confidence coefficient is the infimum of the coverage probabilities, inf θ P θ (θ∈(L(X),U(X))). Since we do not know which point in the parameter space the infimum coverage probability occurs at, the exact confidence coefficients are unknown. Beside confidence coefficients, evaluation of a confidence intervals can be based on the average coverage probability. Usually, the exact average probability is also unknown and it was approximated by taking the mean of the coverage probabilities at some randomly chosen points in the parameter space. 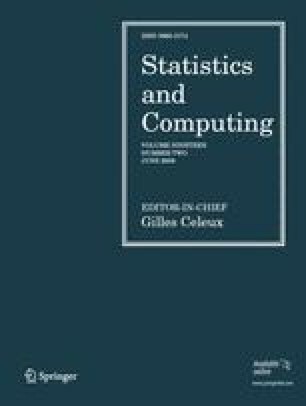 In this article, methodologies for computing the exact average coverage probabilities as well as the exact confidence coefficients of confidence intervals for one-parameter discrete distributions are proposed. With these methodologies, both exact values can be derived.